A "One-Person Captain's Choice" format is one in which the "team" consists of only one golfer - but that one golfer plays multiple golf balls. The golfer tees off with (usually) two golf balls, hitting two drives. She selects the best of her two drives, then hits two second strokes from the location of that better drive. She compares the results of the second shots, chooses the best, then plays her two golf balls from that location. And so on until the ball is holed. If One-Person Captain's Choice is used as a tournament format, just remember that the rounds take longer (because every golfer is playing two balls on every stroke). Also, groupings work best when limited to two golfers per group, because a pairing will have four balls in play. To keep the pace of play moving, tournament directors sometimes set a maximum per-hole score of bogey. Another way to try to keep the pace up is to ask each golfer to hit only one drive if the first drive they hit is a good one. A One-Person Captain's Choice tournament can be standard stroke play: All golfers are playing against the field. But a club or association can also use it as a match play format over multiple days, which works well with the ideal 2-person groupings. The 1-Man Captain's Choice can also be a great practice format for a golfer who is playing alone. 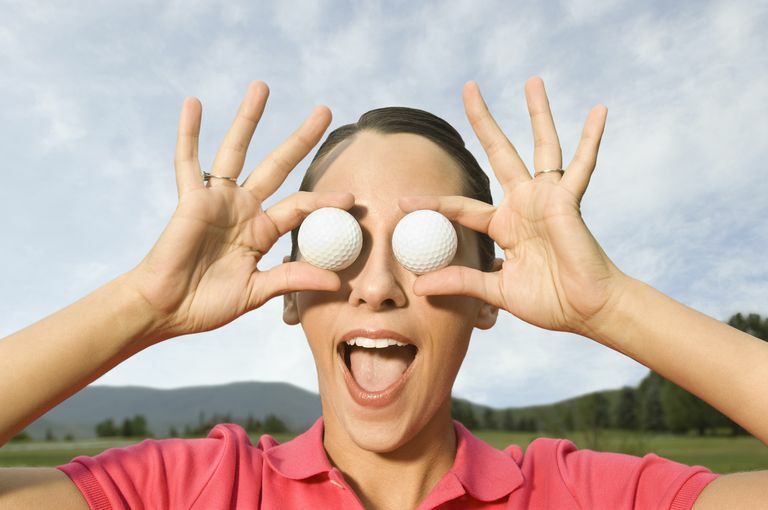 You get to hit two balls on every shot, after all, doubling the practice-play you get in. Just keep in mind that this format requires extra time to play, so if you are playing alone be sure to stay aware of your pace of play and any faster golfers who might be coming up behind you. Make sure you are not slowing anyone down. Perhaps an even better way to use 1-Man Captain's Choice for practice is to choose your worst ball after every stroke. (This can even played as a tournament format called a reverse scramble.) After all, choosing your worst ball will (probably) let you practice shots from rough, from bunkers, from other trouble spots. Just keep in mind that this way of practicing with a 1-Man Captain's Choice is even slower, so be even more vigilant about not holding up play behind you.